I am 31 years old and have struggled with weight the majority of my life . When I came to Figure Weight Loss I was taking a chance on yet another method that I had hopes would help me to lose weight, little did I know, this would be the one method that actually worked! The staff at this facility was amazing! With each appointment they encouraged you to continue doing the right thing and made suggestions to aide in your weight loss. 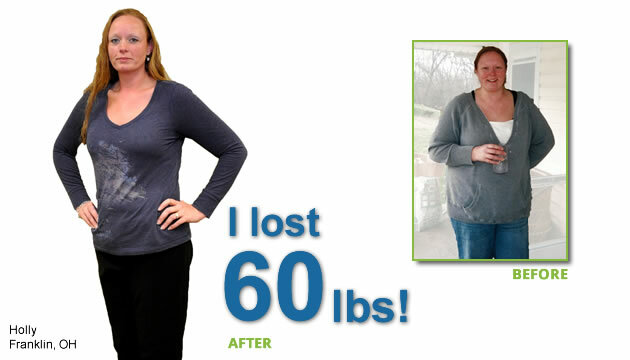 During my time with Figure weight loss I lost over 60lbs and my life improved considerably. I feel much better emotionally and physically. I am able to enjoy sports with my daughter, as I coach her basketball team, and I play volleyball, this was important to me. My husband is amazed at my accomplishment. He has been so supportive throughout the entire struggle. He tells me each day how gorgeous I am, and how proud he is of me for reaching my goal that for so long I thought was out of my grasp. With my own dedication and determination, the support of my family, and the awesome program at Figure Weight Loss, I have become a much healthier and happy person!